Tengen’s 1989 release of Afterburner, based on Yu Suzuki’s classic Sega 1987 F-14 arcade flight simulator, gave patrons of NES a taste of the arcade original, allowing the gamer pilots plenty of options and and simulation options. 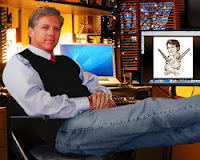 Target lock on and sidebar menus were bright, and the simulation of flight smooth through 23 levels of aerial action. 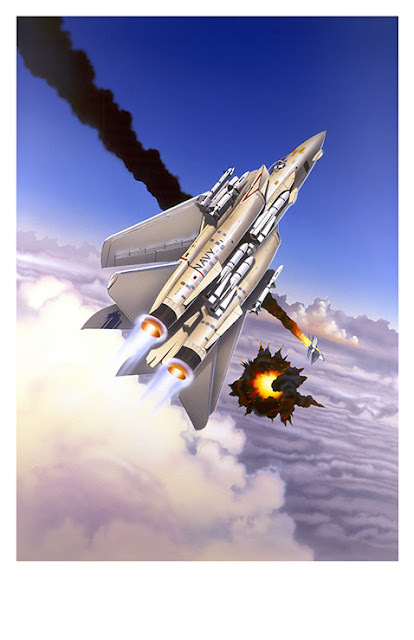 I chose a wings back aerial profile for the Tomcat kill pictured, and used on Tengen’s packaging and poster art which he executed for Tengen through Louis Saekow Design in September 1989. Tengen later requested tracers and distant enemy aircrcraft be added to the art, on an actate overlay not seen here on the original painting.